What a day it was, and a great day I might add. Admittedly, I did spend most my Sunday watching multiple episodes of Friends + eating pizza (shocker), however, I eventually made my way to the Peaces Market at Sunset Point in Collingwood, ON. It was a decision I was super happy about. This was the first Peaces market ever to take place in Collingwood and I'm sure it won't be the last. Peaces, a "lifestyle brand that uses business as force for good" is well known in Toronto for its eco-conscious lifestyle + monthly night markets, featuring talented artisans, entrepreneurs, artists and non-profit organizations. Quadruple whammy! Tamara Hibbard, owner of Dream By Day, LOVED what Savannah Furfaro (Founder of Peaces) was getting up to in the six (T.O.) and wanted to do something similar for our local hub. The two linked up and brought over 35 unique vendors together for yet another successful event. 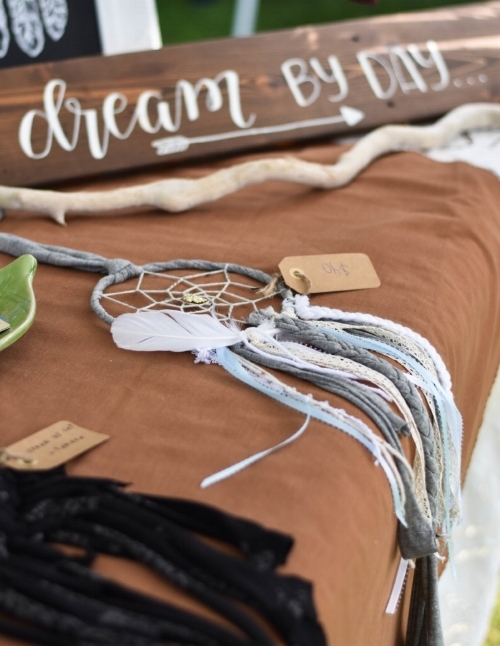 A portion of proceeds from the Peaces Sunset Market were donated to the Canadian Mental Health Association, specifically to addiction awareness. It's all about giving back, and these community focused, locally sourced events really send that message home. I love it. I don't think I'll say it enough but we seriously have such talented 'creators' around this area. If you haven't jumped on the locally-made band wagon, it's not too late to see what all this goodness is about! Although I wasn't doing much shopping yesterday, there were def a couple of familiar faces I got to chattin' with, and a few that I was SO happy to meet. All in all, every single soul that attended, worked, or volunteered - you're all unique + super great!